N-Mac is a curious seven-year-old boy who oftentimes feel extremely nervous when he encounters new and different experiences. He is starting a new school year! He will now be a grown-up second grader. Many fun activities await N-Mac as he adjusts to his new grade and new teacher. 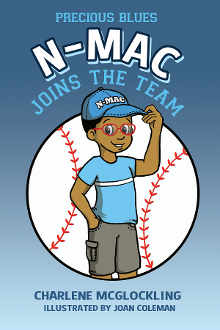 N-Mac and his friends will go on a journey that will bring them to participate in the cool discovery of a baseball team! How will N-Mac handle this interesting and challenging experience?